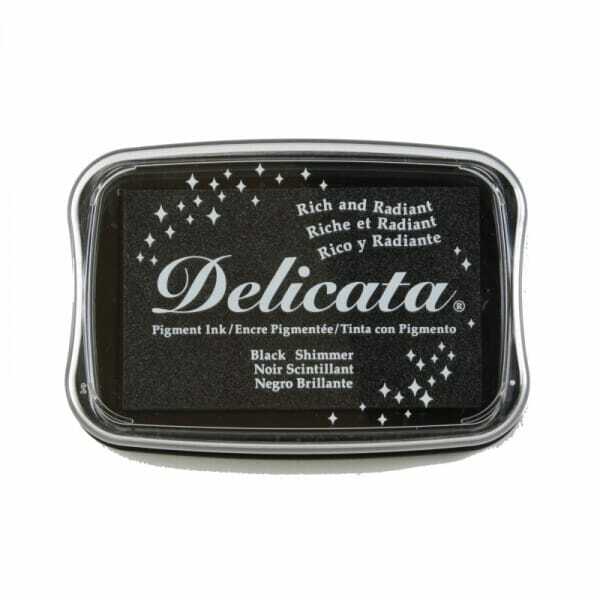 Delicata is the latest generation of metallic inkpad. Remarkably true and bright, it outshines other inkpads and provides stamping results that resemble the true effects of gold and silver leafing without the mess. Great for the holidays and for year-round bling. Tip: For the most lustrous results, let Delicata air dry rather than using a heat gun to dry. Customer evaluation for "Tsukineko - Delicata Ink Pad Black Shimmer"